Mohd Iqbal born in 1968 it seemed unthinkable that this baby with deformed, feeble limbs due to a rare congenital disorder that contracts joints and weakens the muscles could become a leaders in society. He lies on his stomach on the bed, head and shoulders up, withered limbs limp. Iqbal is from a forbiddingly high desert bordering China and Pakistan and snow bound half the year, Ladakh is India’s second largest district. 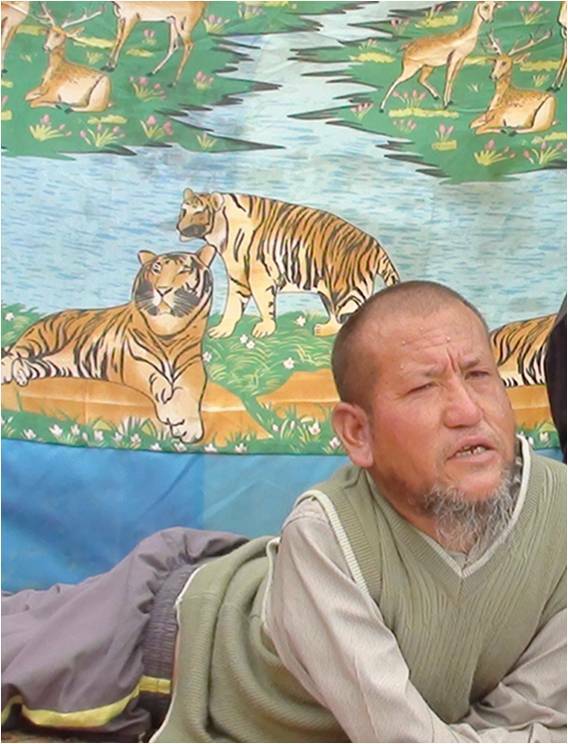 Many Ladakhis, like most Indians consider disability a stigma. But Iqbal’s family and neighbours were different. His family carried him everywhere and children included him in their games. He was the umpire at cricket matches, and he could play chess and other games using his mouth and tongue. Iqbal’s parents also tried sending him to the village school but he threw tantrums and nobody had the heart to scold him, so he was allowed to stay home- much to his later regret. His father and grandfather taught him to read and write basic Urdu. As a child, Iqbal never thought of himself as handicapped. It was only when he was around 20 and his siblings and friends started getting married and taking up jobs that the implications of his physical condition hit home. “I became very depressed”, he recalls. PAGIR or the “People´s Action Group for Inclusion and Rights” was launched in 2007. The aim of the organization is to improve the everyday life of people with disabilities and the organization is led by people whom themselves have various disabilities and know both how society views them and what they themselves are capable of. In the past, people with disabilities have been looked at with pity and their skills and abilities have gone unnoticed. This has also led people with disabilities to see themselves in a similar way. But people with disabilities have the same rights in India as any other person, socially, politically and economically. Implement government policies and ensure that services reach disabled people. Create mass awareness amongst the rest of our society regarding rights and privilege issues. Promote disabled people’s participation in the social and political processes of the region. Empower disabled people economically so as to make them feel capable enough to contribute to the economic growth of the region. One of our key efforts is the social venture Jungwa Shrungskyob, meaning, protection of the four elements of nature, earth, water, fire and air. Here we work to working towards the conservation of nature and having environmentally friendly processes established in Ladakh. Waste management is an important issue in Ladakh and we have chosen to work on producing craft-through-waste and converting paper waste and tailor’s waste into quality products like papier-mâché based goods, carry bags, belts and wall hangings etc. All are created by the talented members of our organization. We are operating a waste-to-craft production centre, a marketing store in Leh market and participating in various exhibitions and fairs. MESH provides design support and buys eco-friendly products from PAGIR.